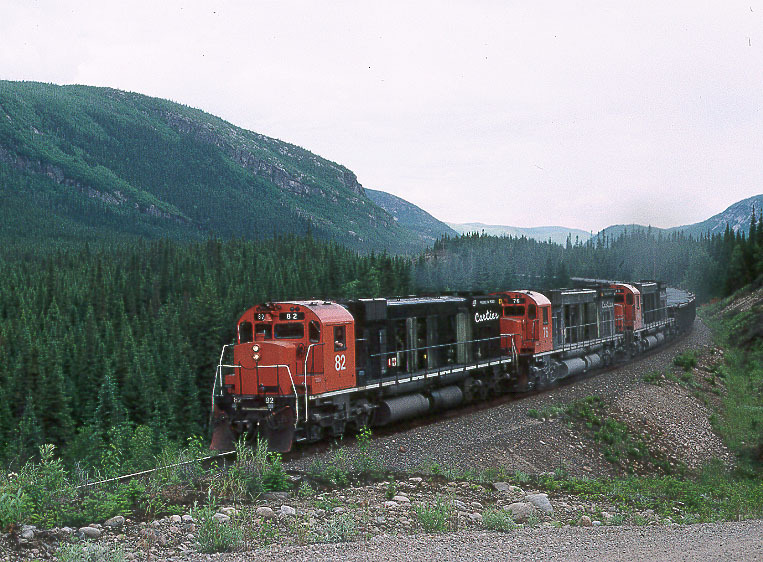 In July of 2000 I made a trip to the eastern part of North America to see some New England roads, and of course the main focus was on the Quebec Cartier Mining Railway, the last road to operate solid sets of Alco C636's. While the weather wasn't the best, I sure enjoyed seeing a part of the country I had never been to before, and of course those Alco's put on quite a show. Following are some of the better photos from this trip. There are 20 photos on this page, and the other 23 are on the next page. 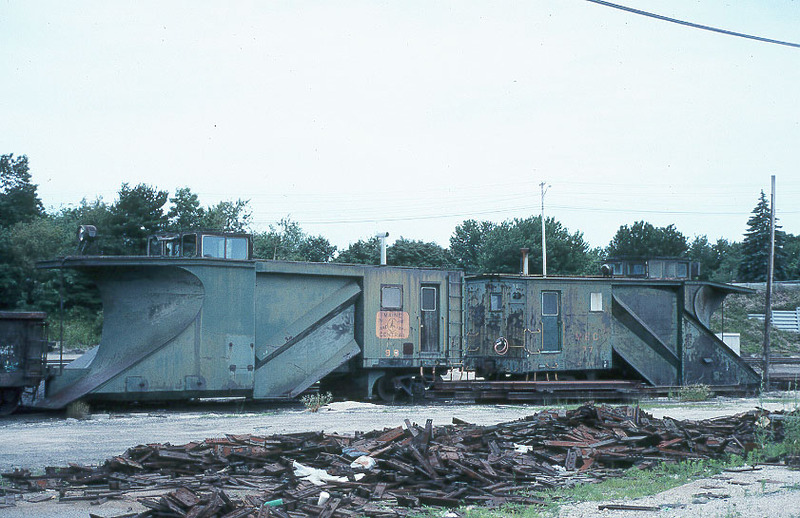 After flying from Phoenix to Manchester, NH on Southwest, we spent the first night near there, and then the next morning we headed north into Maine, and here is some Guilford equipment at South Portland. July 9, 2000. 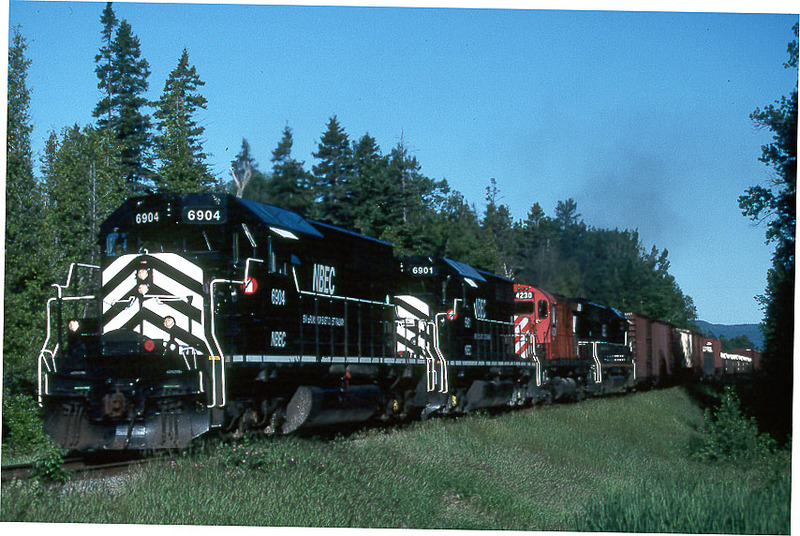 Over at Lewiston Jct., ME., we found this group of loco's being serviced. July 9, 2000. Continuing on to Brownville we actually got a train with some sun on it! 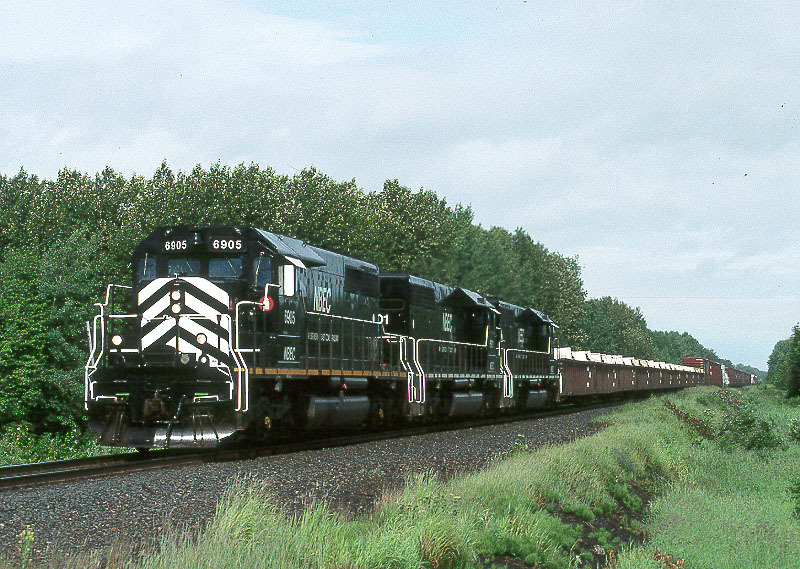 Shown here going around the wye on July 9, 2000. At Brownville Jct. 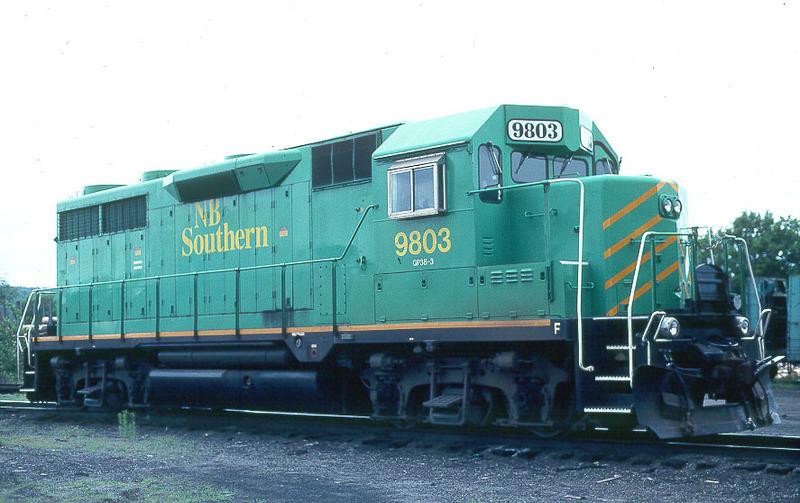 we got this ex Southern Pacific GP35, again in fine weather! July 9, 2000. 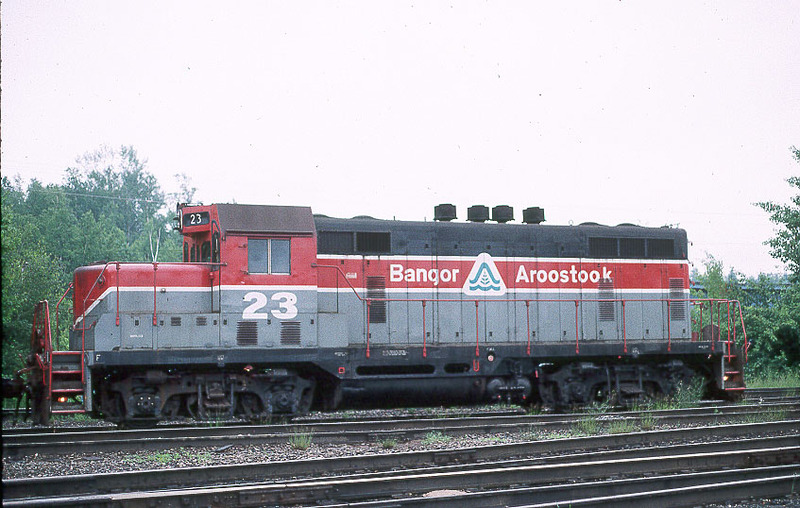 The next morning we got this unit in Millinocket, again in the fine cloudy weather. By this time I loaded Kodachrome 200, instead of my usual 64. I doubt there are too many of the B&A units left in this paint. July 10, 2000. 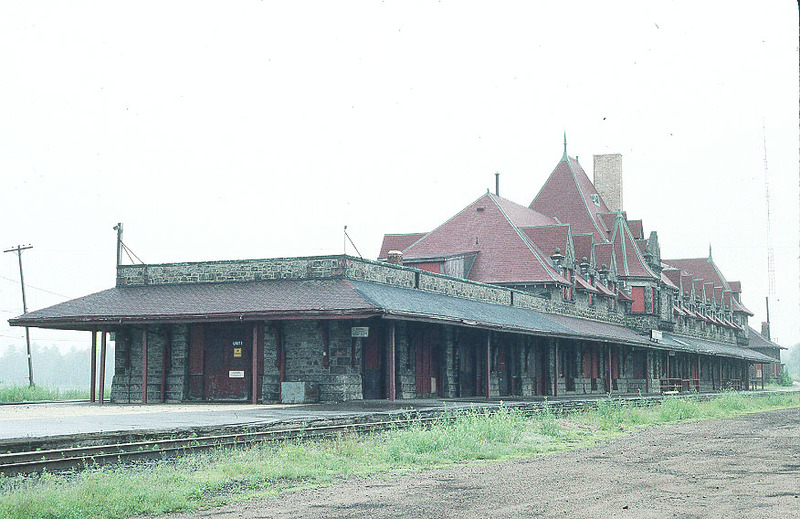 After crossing into New Brunswick, we stopped at McAdam and got this shot of the old station there. Again, K200 film. July 10, 2000. 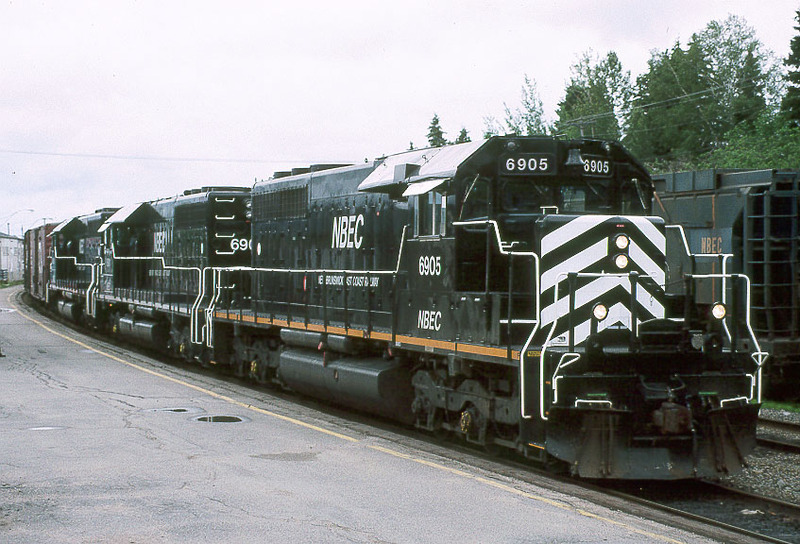 Another ex Espee unit at McAdam on July 10, 2000. 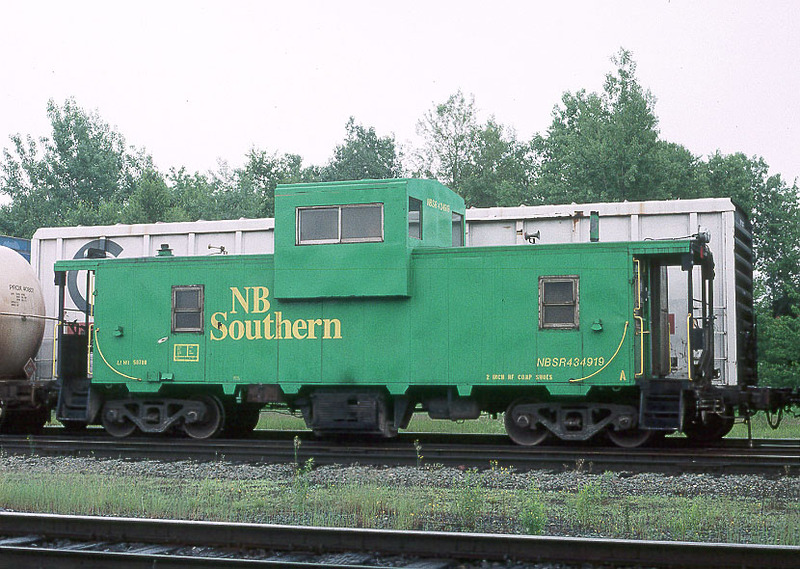 This looks like an ex CPR van, again on K200 film at McAdam on July 10, 2000. 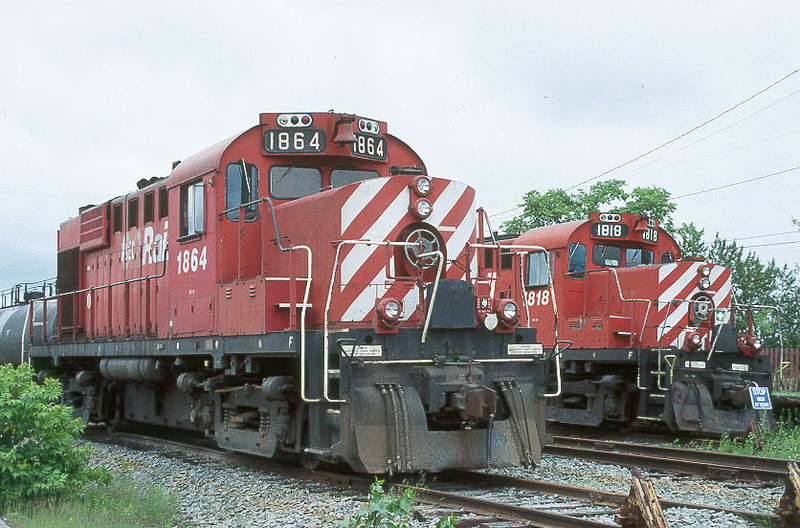 Moving on to Newcastle we got this set of power at the yard. The next day at Irvco Jct. 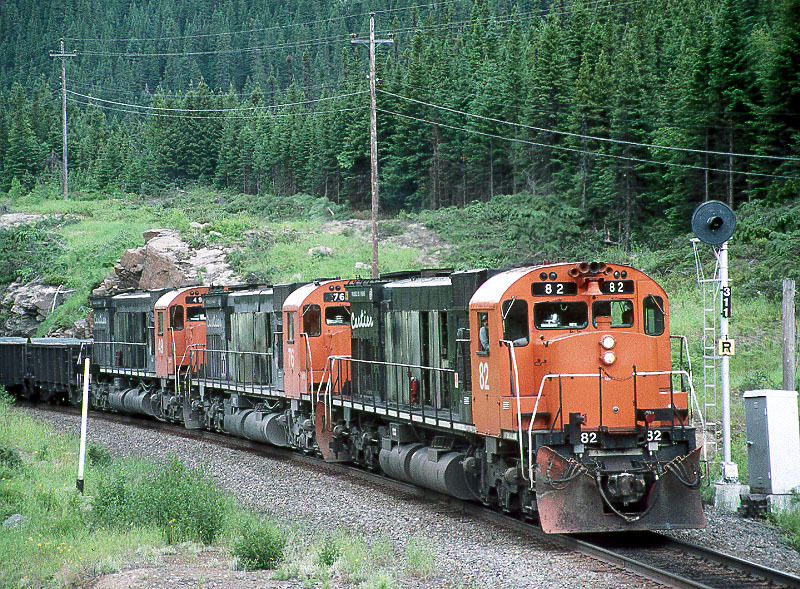 we got this train leaving the lead smelter headed back towards Bathurst. Still using the K200 film! July 11, 2000. 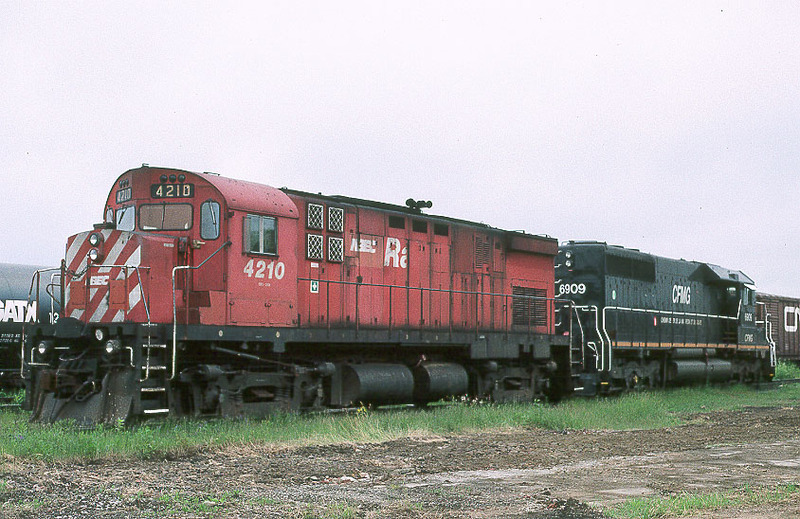 Here in front of the station at Bathurst is a set of ex CNR SD40's, just arriving on July 11, 2000. Right beside the station at Bathurst these units were parked and being fueled. July 11, 2000. 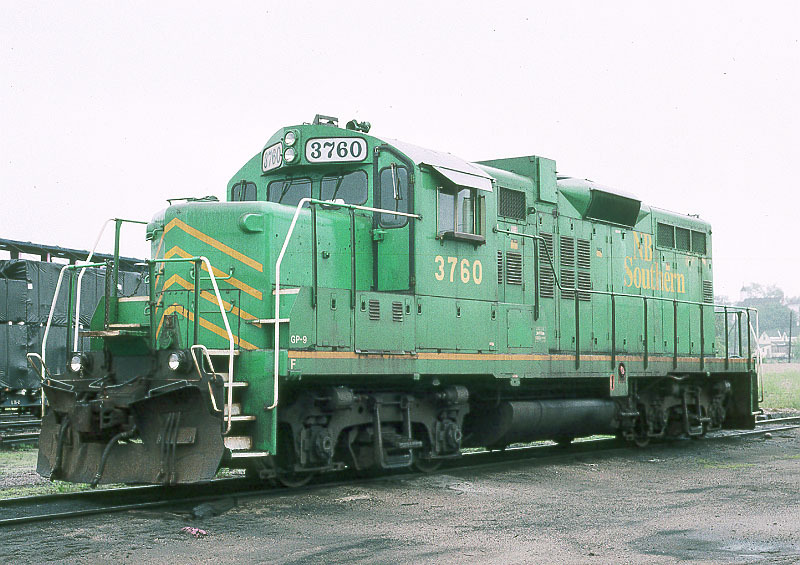 Here is a train that actually had some sunshine on it....although I am still using K200 film. 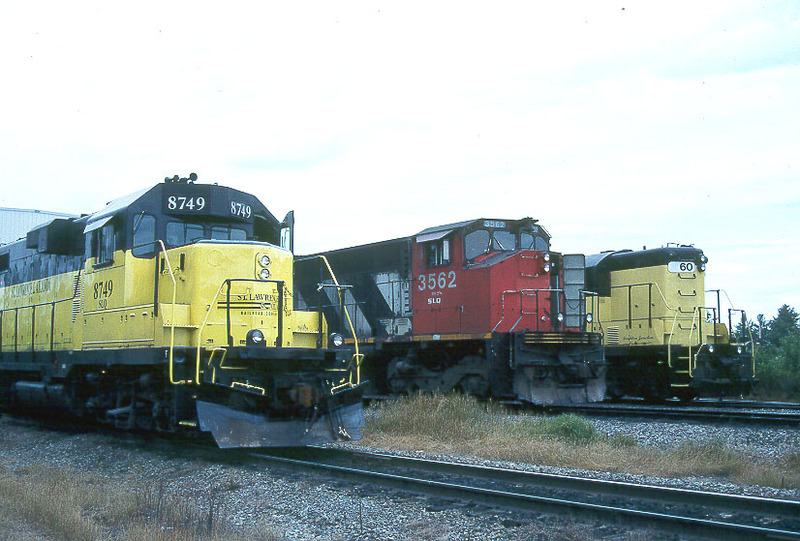 This photo was at Nelson Creek on July 11, 2000. On the morning of the 12th, the sun was actually out! Here is the morning southbound just leaving Campbellton. 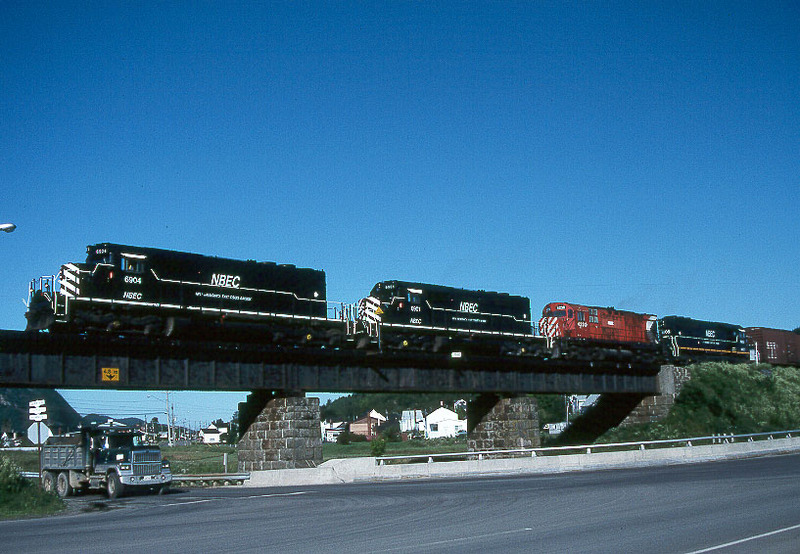 The same train near Dalhousie Jct. 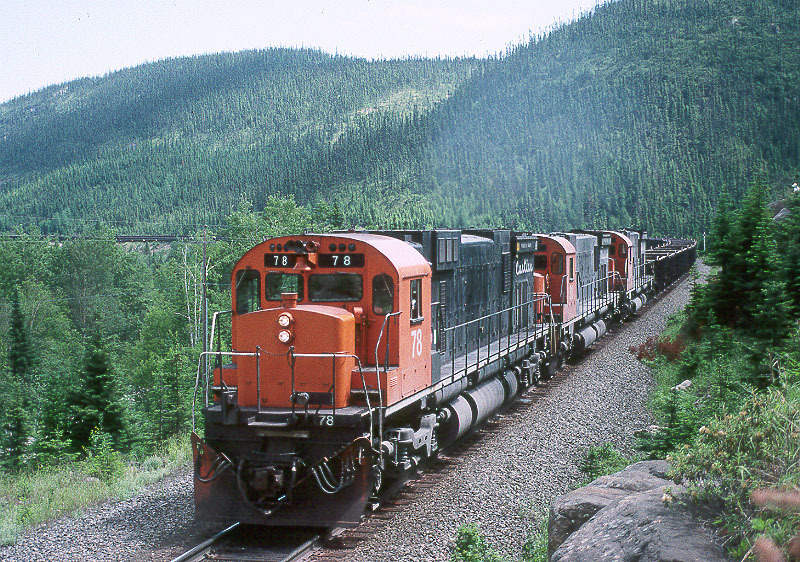 After going back to Campbellton and getting some shots around the yard, we went back to Dalhousie Jct. and got the local just leaving the main on the branch. July 12, 2000. After a day spent driving and taking the car ferry across the Gulf of St. Lawerence, we finally made it to the land of big Alco's! And of course the sun was pretty much history. 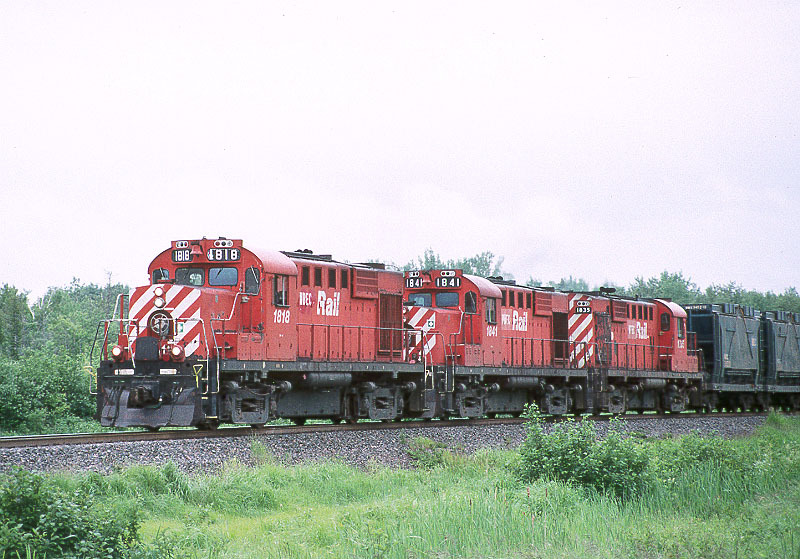 Anyways, this southbound is at Mille 48.5 on July 14, 2000. 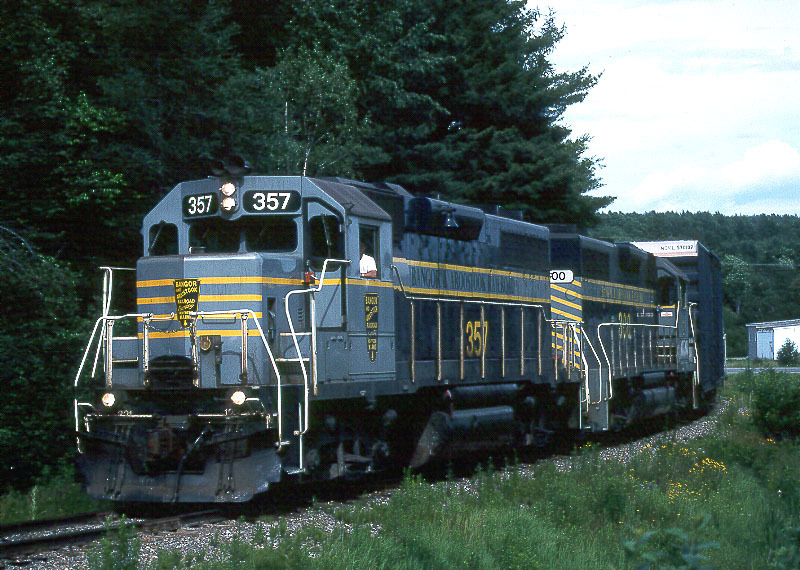 Here is a northbound at Mille 31 on July 14, 2000 at the spot that quickly became known as "Black Fly Ridge" - for obvious reasons! After meeting the train above at Charles, here is the southbound just leaving there and starting down the hill towards Baker. July 14, 2000. 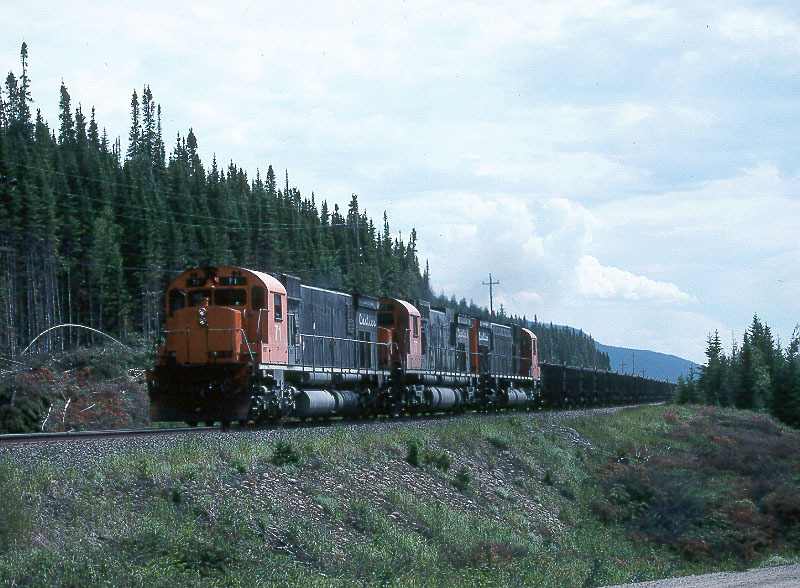 Back up to Mille 48.5 for this shot of a northbound. This Web Page and all photos on it are copyright ©2000 by Ted Ellis. All Rights Reserved.